The new edition of Apple Watch, which is supposedly to be called Apple Watch 4, has drawn a lot of speculation within smartwatch enthusiast, especially for Apple fan-boys around the world. This is can’t be separated from the success of the previous editions of this smartwatch line. As we know, the latest Apple smartwatch has performed so impressively in term of sale. Based on the latest KGI report, this device is predicted to be sold around 22 – 24 millions in 2018 alone. This is a 30% jump from the last year’s sale, which also overcomes the sale of all Swiss-made watches. Yes, I’m talking about Rolex, Omega, and Swatch combined. So, seeing this huge enthusiasm, will this Cuppertino Company be ready to drop an update this year? Let’s see. 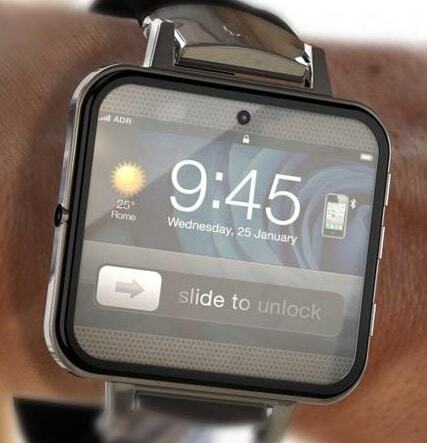 Some think that it’s still too early for Apple to drop their new smartwatch product in near future. This is because the last edition of their device, Apple Watch Series 3, is still pretty good, and not that outdated, yet. However, remembering that the grow of smartwatch and fitness tracker industry is pretty dynamic, we think it’s okay to expect a new product to be released within 2018 in order to be as relevant as possible. So, in order to welcome the release of Apple Watch 4, if it’s really going to happen, here we list some things that we expect to see in this one of the most anticipated smartwatch of the year. The release of iPhone X may bring significant changes for future Apple’s products, especially on the bezel-less screen design. We strongly believe that in the future, Apple will adopt the similar screen design in all their products, including smartphone and smartwatch. And, because bezel-less smartphone has been started by iPhone X, we expect to see bezel-less smartwatch soon on Apple Watch 4. According to the 9to5mac, Apple is still working on developing smartwatch with bezel-less design. This source explains further that the company may keep the current Apple Watch dimension while enlarging at least 15% of the screen by eliminating the bezel. However, there is still no further confirmation whether the company will really release bring this design into the next Apple Watch 4 or not. Everything is still speculation around here. There’s also a big rumor’s going on that Apple will redesign their iconic square watch face with rounded edge to be fully rounded just like on Samsung Gear S3. But, we’re not really sure about this because as we see, Apple is very consistence in keeping their design. We can see in the previous 3 Apple Watch series, all of them have relatively same watch face. And we’re pretty sure that the company will bring the same watch face design in the next generation in order to keep their design consistency. However, as suggested by Techradar, this circular design could come up as an option, meaning that the main design is still the typical Apple Watch design. MicroLED is the new generation of OLED. Unlike the single backlight screen that’s used in the first iPhone until iPhone 8 or the newest self-lighting screen on iPhone X, MicroLED has different compounds of light-emitting component, and the screen has individual backlight for each LED pixel and sub pixel. With this mechanism, the display will offer brighter and more detail image while managing to be more energy efficient. Further, MicroLED is also thinner than the regular OLED display. So, the use of this screen will affect on the slimmer body and lighter weight of the device. And this is what makes it great to be used on the new Apple Watch 4. The use of microLED screen in the next generation of Apple Watch itself is strengthened with the fact that Apple is reportedly develops this kind of display in their secret facility somewhere in California. They seem to invest a lot on this very strategic technology, remembering that MicroLED technology could be a future display of their products. This is the wildest rumor around Apple Watch 4. If Apple really applies this smart band, then this Cuppertino Company may be the first one who applies smart band for smartwatch product. The use of smart band itself is to extend the limited display from the watch face into the band. So, with this technology, you’ll be able to access several menus from the band without opening the main display. The idea of using this smart band has been going on for a little while. We knew that in 2015, Apple has patented a self-powered watch band with several modules in it. This was even continued in the next following year with other similar band patents. But, none of these patents has been applied and showed up to public. So, we really expect to see this patent to be applied on the new Apple Watch 4. If you follow the development of previous Apple Watch series, you must notice that both Apple Watch 2 and 3 got significant improvement on battery capacity from the first generation. Now, both models have quite impressive capacity to make it lasts for about 18 hours with work out features on. However, this capacity is still quite small compared to other products such as Fitbit Versa and Garmin VivoActive that can last for about four and seven days. Therefore, this should not stop Apple to innovate. And it’s really expected that the new edition of Apple Watch 4 will bring significant improvement especially on the battery capacity because if they really do, surely this will open bigger possibility to develop more features such as sleep tracking. The latest version of Apple Watch, Apple Watch Series 3 is already equipped with LTE. However, this device is not fully independent yet. It means that to access some services such as SMS or call, Apple Watch Series 3 still needs to be coupled with your iPhone. While in case of other independent smartwatch such as Huawei Watch 2, the device is capable of having its own number as it has SIM card slot as well. So, you can access basically anything from your smartwatch. So far, there is no further confirmation on when Apple Watch 4 will be release or whether Apple will really release it in 2018 or not. But, if we see the history of Apple Watch release, we can find an obvious pattern. As we know, the first generation of Apple Watch was released back on April 24th 2015. Then, Apple Watch Series 1 and 2 were released at the same time on September 16th 2016. And on September 22nd 2017, the company released Apple Watch series 3. So, would it be possible that Apple Watch 4 will be release sometime in 2018? Specifically, we estimate that the new edition of Apple Watch may come around September 2018, alongside with the release of new iPhone. It’s like Apple will keep following their cycle, remembering that the 3 previous watch (Apple Watch 1 and 2, and Apple Watch Series 3) were all released on September. So, let’s just wait for the company to officially announce this product. Then, how about the price? When it comes to Apple, price is something tricky to be guessed. It’s like, there’s never be any clue of it. But, for the case of Apple Watch 4, we expect that the price range will be relatively similar with Apple Watch Series 3 price when it firstly released, which starts at £399 for cellular edition and £329 for non cellular.